← Spring air — woven moon and plum scent. You may wonder why these posts are not dominated by my travels around the East China Sea in the good ship Dileas. Well there are several slaps and stiles that I have to cross first. I have to register the boat. This is complex involving lots of paperwork, which I could never have done without the help of the very gracious Arisa san. There is then an inspection by boat specialist san, which is coming right up. To pass the inspection, the boat needs equipment. 3 life jackets, a life buoy, lots of ropes, an anchor with chain, a black sphere, a black cone, a light, a red bucket and a whistle. I gather this together but realize that I have forgotten the whistle. I rush off to the 100 yen store where you can buy anything for you guessed it, 100 yen. I mime blowing a whistle repeatedly to smiling but confused assistant. She finally gets it and trots me over to a rack of stuff. I thank her. 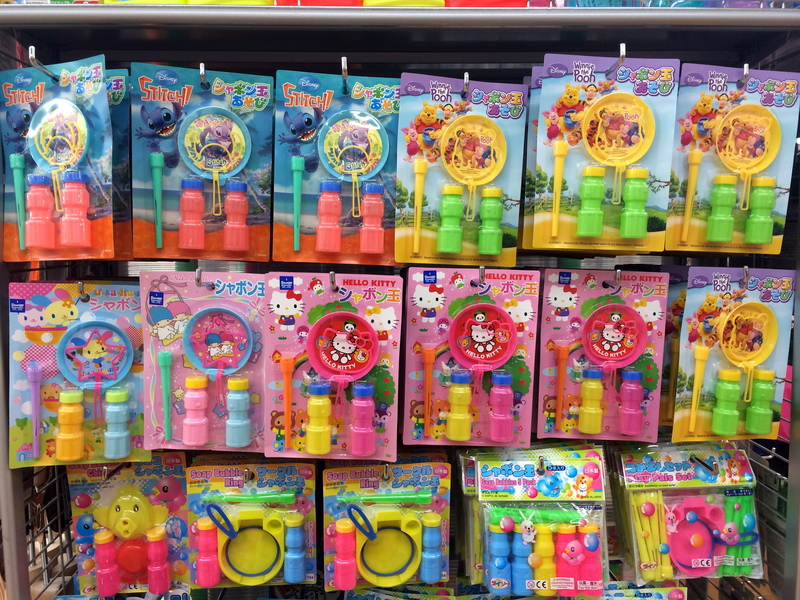 Hmmm, bubble blowing kit not really what I want. I range around the store looking for whistles without success. Self doubt sprouts. “Why would they stock whistles? Who buys whistles?” Anyway I try again on another confused assistant. I really put my back into it. At the end of the performances she cries “Hai! !” and we scamper off to another stand. Listen to what Jiminy Cricket has to say. 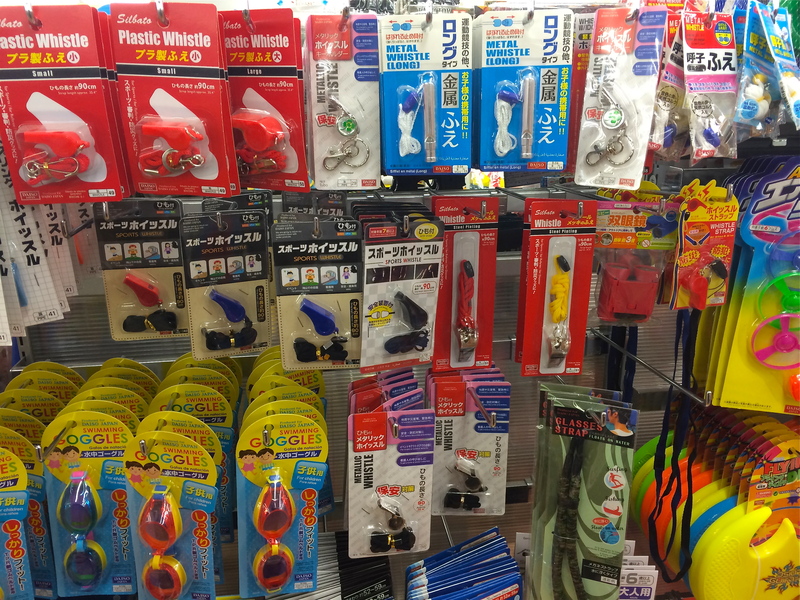 It being Japan, there is of course a huge choice of whistles, long, short, red,black, sport, camping, kids, grown up, key chain, silver plated, and with or without shamrock. 100 yen each. I buy loads, shop early for Christmas.